Born in Ireland, I started Martial Arts as a teenager, and through a mutual friend discovered Kenpo Karate in Dublin, Ireland. I have competed in Karate competitions throughout Europe. 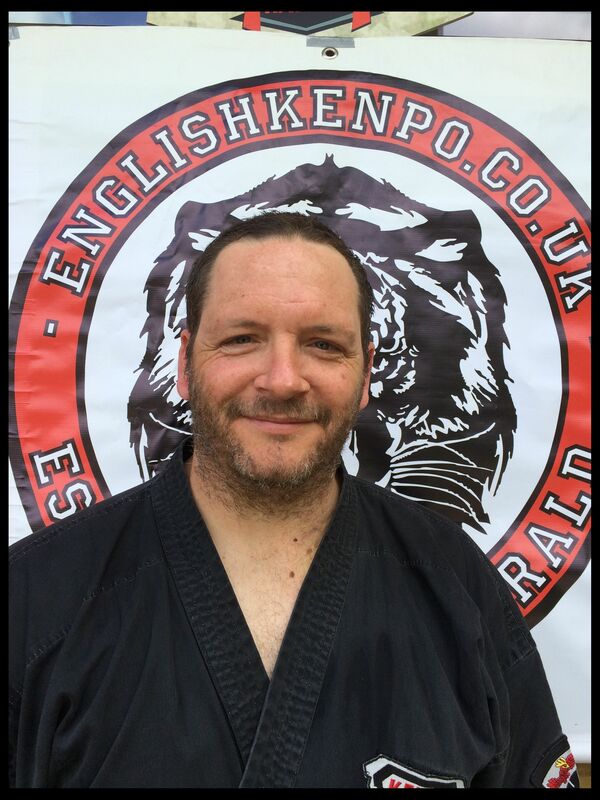 I have taught Kenpo Karate in Ireland, U.S.A and England and have many years of experience teaching. I currently hold the title of Associate Master in the art of Kenpo Karate. My special moments are meeting and training with Grandmaster Edmund Parker and Larry Tatum, receiving my 7th Degree Black Belt Oct 2005 under the instruction of Mr Tatum and his representatives – then again maybe my most recent success of being presented my 9th Degree Black Belt (Master of the arts) by Grand Master Patrick S. Kennedy on 8th April 2014 is now the most memorable. I started Martial arts in the Japanese system Shotokan but found the language a barrier when I found Kenpo the instructions were in my language and I learned more swift, fast, flowing constant motion of Kenpo and its mulitple strikes. Thats what I enjoy about the Kenpo system it makes you think and react. It trains you for every possible eventuality, Kenpo allows you to grow and develop and enjoy the fellowship of Kenpoists throughout the world. I’m from Edingburgh and first started Karate Wado style in 1970 and trained under twice European champion Hamish Adams. From 1972-74 I competed in regular inter club competitions and in May 1974 at 16 years won the Scottish Wado Championship (under 21 yrs). I continued with Karate until 1975 and then stopped due to a serious injury. Grade obtained Brown Belt. From 1984 I had a short spell with Shotokan Karate but stopped due to injury. April 1996 I started training in Kenpo Karate under the expert tuition of Andy Fitzgerald. Training under Mr Fitzgerald has opened my eyes more and I have gained more knowledge in the art and have found it to be of greater benefit and a much more effective Martial art. Having almost studied since he could walk, Matt has trained under his Father, Andy Fitzgerald for many years – Matt has risen through the ranks to become one of the EK’s most recognised instructor’s. 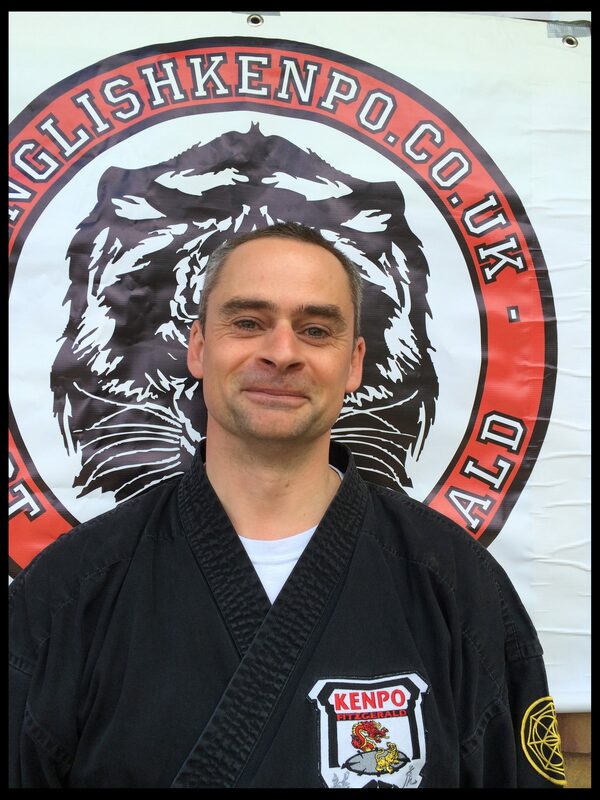 Matthew has fought in many Championships and having traveled to many countries and trained with many senior instructors, he is certainly experienced for his years. Matt has honed his skills through years of practise and training with all the EK Board of Regents members and is also well versed in Free Running/Parkour and devotes his time between the EK clubs and coaching youth groups in Peterborough. Matt is firm favorite with our younger students. I was born in a village near Llanelli, South Wales, called Bynea. As a young boy I played Rugby, and learned to Box at the same club my father was taught, Trostre Amateur Boxing club. I knew nothing of Martial Arts at that age. I was introduced to Martial Arts by my old Art teacher, Mr Meurig Evans. He allowed us to watch a classic martial arts film starring the Bruce Lee called “Enter The Dragon”. From that point on I was hooked. Over a number of years as a teenager, I tried many different styles, but never truly found a style that fit. So I put Martial Arts on hold and focused on rugby and my education. In 1986 I attended Wolverhampton Polytechnic to study for my Degree. During my first year at university my Martial Arts fascination was reignited when a Shotokan Karate club was established at the university. I trained at the university Karate club and thoroughly enjoyed my time there and developed an ambition to earn my Black Belt. The club eventually folded due to lack of members. After completing my Degree, I found myself living in Peterborough, Cambridgeshire. I discovered there was a karate class every Monday night. I visited that class and met Mr Andy Fitzgerald for the first time. During that visit, I was amazed how relaxed the students were, and how much fun everyone was having. In January 2002 I started training in American Kenpo Karate with Mr Andy Fitzgerald and Mr Keith Birrell. March 2006 I changed my job and had to take a break from training due to the travel involved. I started training again in February 2008 thanks to Mr Keith Birrell. I had a warm welcome from everyone upon my return, especially Andy. I picked up where I left off and realised how much I’d missed the training. From then on, I tried my utmost to attend as often as I could, work permitting. In 2012, I gained my 1st Degree Black Belt from Associate Master Andy Fitzgerald. It was a special day, shared with some great friends and will be long remembered. I have learned so much from both Andy and Keith that it’s difficult to put into words. I learn so much from both of them, even when they’re not teaching. American Kenpo Karate is a devastating Martial Science. With its linear and circular movements and deadly effectiveness. It’s an incredible art form to behold. It’s also very contagious, it gets in your blood. I also count myself lucky to have been embraced into the Kenpo family, and have been fortunate enough to share this incredible martial science with all three of my daughters, two of which are brown belts under Associate Master Andy Fitzgerald. Having achieved a lifelong ambition of earning my Black Belt, what’s next I ask? Well, according to Andy, my journey has only just begun! Ever since I was young I been involved in martial arts, even in infants school I was involved in Judo then grew into Karate, I didn’t like it much then. When I became a teenager I trained in Tang Soo Do in Hemel Hempstead. At this point I was treating martial arts as way to just exercise. One day a gang of bullies picked on me and beat me up. My reality changed at this point, I told my teacher and then he started to train me hard. After a few years and as I turned eighteen I started training with five times World Champion ‘The Jedi’ Kevin Brewerton. Over the years I trained in Freestyle Kickboxing and Lau Gar Kung Fu earning my 4th Degree Black Belt in Kickboxing and 1st Degree Black Sash in Lau Gar. Over the years a competed on the National tournament circuit and was winning 1st, 2nd, and 3rd place in Semi Contact points, Contact Kickboxing, and in Traditional & Weapons forms. I saw the movie ‘The Perfect Weapon’ starring Jeff Speakman, and got bitten by the Kenpo bug but there were no schools teaching it in my area. I contacted Larry Tatum direct and joined the LTKKA in 2005. I went to Croydon to study but the distance was too great. Kenpo Karate was a very, very rare & elite martial arts. I ordered VHS tapes and got started with my training. The year 2011 became a very emotional time for me, I broken up with someone I thought I would love, and been made redundant . Two of my good friends gave me a wakeup call and I tried to find a Kenpo school again. 2011 I then found David O’Meara who was learning Kenpo from Associate Master Andy Fitzgerald, I was so excited to be seeing him in Peterborough. I then praticed Kenpo every day from 5:30 to 11:00 at night, longer at weekends. I was so inspired by Andy, and was happy to be a part of the Kenpo family and soon learnt that that I was not just doing any martial art but Kenpo was ‘martial art science. American Kenpo Karate saved my life, gave me my confidence back and took me into the Kenpo family. And I will continue to strive to become a better Kenpo martial artist along with my Kenpo brothers & sisters. I started Judo when I was 14 years old. I remember walking past the local hall and seeing a bunch of people in white suits throwing each other round. I spotted someone I knew from school and went in to have a good laugh at his expense. The instructor asked if I wanted a go, so I went on the mat and loved every second of it. Not long after this, I also started a Martial Art called Goshin Jutsu and over the years I have gained black belts in both Judo and Goshin Jutsu. I first met Andy Fitzgerald in 1994, when I joined his Tai Chi Chuan classes where I trained for a few years and gained my instructor certificate with him. If you are thinking of starting Kenpo then I would say definitely give it a go. It is challenging but very rewarding. I joined Kenpo (EKKA) about six years ago. I dabbled in Ju Jitsu and Kick Boxing but none really left me interested. When I joined EKKA I found every move, every technique difficult to understand and learn. I’ve always been a sportsman and found most sports fairly easy to take up and be good at, this includes football, swimming, basketball, running, racket sports and skiing. My early days in Kenpo were frustrating, however I enjoyed grading and sparring with the Black Belts. As a unior belt I always looked at my seniors in awe and longed to wear the infamous black belt red tab. Kenpo is an art in which concentration and dedication are a must. When you don’t put in the effort to practise and train you are amazed how much you forget (I know first-hand). I’ve now graded to black belt, something I never dreamt I could be. I now understand the hard work, dedication, blood, sweat and tears which is needed to realise your dreams. I’m a very proud member of the family which is English Kenpo, and proud of all my dedicated brothers an sisters who are pursuing the same dream. So keep at it, it’s totally worth it. This art has everything you need and much more. Explosive moves into soothing Tai Chi elements. Kenpo has me hooked and is well worth investing the time and effort to explore the art. 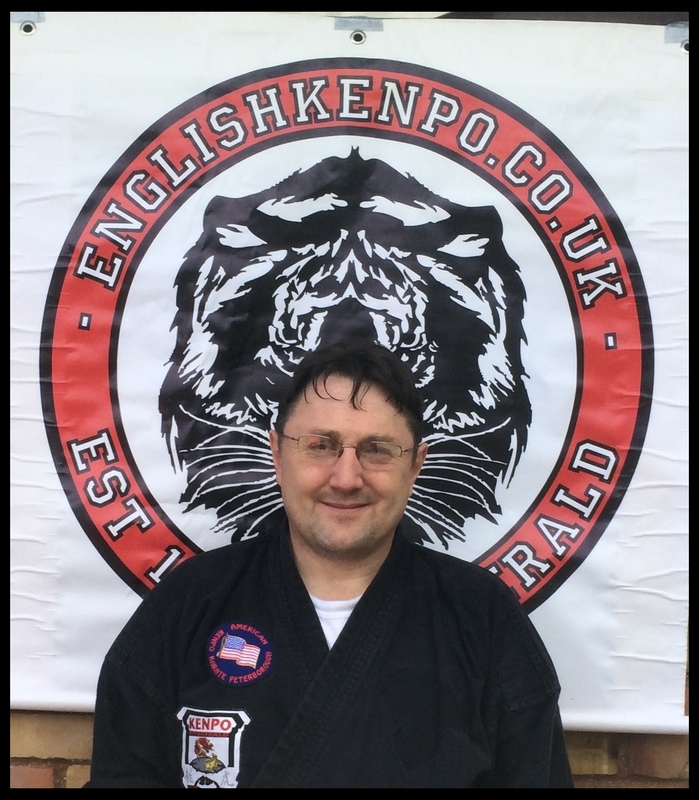 – Instructors listed here are official English Kenpo members with their own individual clubs; teaching outside of the Head Quarter Clubs in Peterborough. My name is John Noel Brennan (Johnnoel) I started Martial Arts at the age of 13 years old in Kilkenny Ireland under Master Thomas Foley and his younger brother Peter Foley of the Black Dragon Karate Association. Unlike most people my age at the time I was not influenced by Bruce Lee but rather Lee Van Cleef from the TV series the Master. I wanted to be a Ninja that was it. I became obsessed with Martial Arts, all Martial Arts it did not matter what style. In rural Ireland this was unusual as Boxing was the way to go, but I always had to be different. I started teaching at a local club I took over when I was only 16 years of age, young I know but again rural country, someone had to do it. Since moving to the UK with family and study, Martial Arts had to go by the way side, but then I started my obsession again. Over the years I have studied with grades, Ninjitsu, Shotokan, Wing Chung, I have received Black belts in Kickboxing 3rd Dan and Tae Kwon-Do (ITF) 2nd Dan. I have had the opportunity to train and teach under some great Masters within these arts. My competition years brought victories in various disciplines, Gold for sparring and distruction and weapons, silver for sparring and Kata/Tuls and Bronze for Sparring and Patterns I saw an email from a guy called David O’Meara wanting to see if anyone was interested in American Kenpo Karate, I had heard of this when living in Ireland but never had the opportunity to learn. I contacted David to get more information, we met with Mr Andy Fitzgerald and that was that, my obsession became out of control, Why Oh Why did I not do Kenpo before this. I have never looked back. Associate Master Andy Fitzgerald has taken us under his wing and has put a lot of time and effort into training us. He is a true Master of his Art who is always at hand to help. I have also had the pleasure of training under Grand Master Pat Kennedy 10th Dan and Master John Birch 10th Dan along with other fantastic practitioners from Ireland. 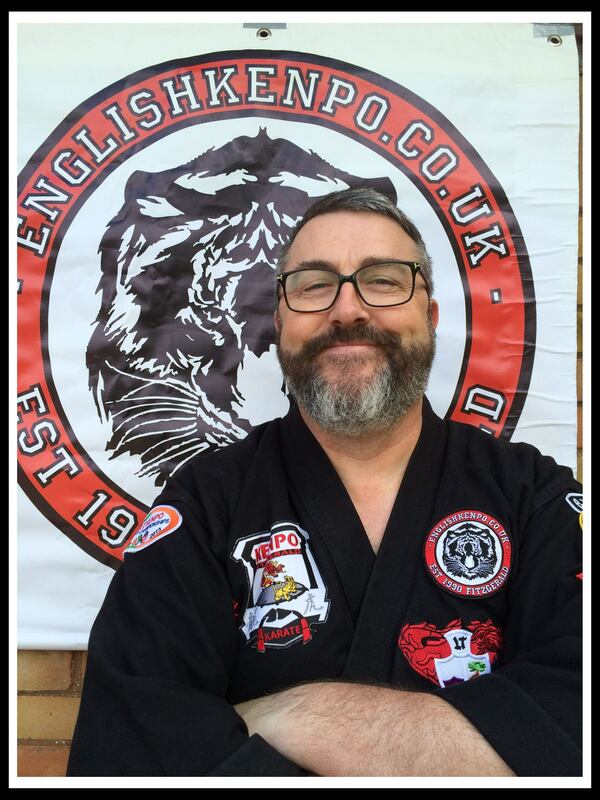 From the UK family, great practitioners such as, Professor Keith Birrell, Adam Merton, Scot Gladwyn –Ball, Matt Fitzgerald, David O’Meara (again big thanks for the introductions), and last but in no way the least, Alun Griffiths who does a lot of work for our Kenpo. I have opened up Brennan’s Kenpo Karate Association Hertfordshire (BKKAH) and I know with this family’s help, it will only grow better. 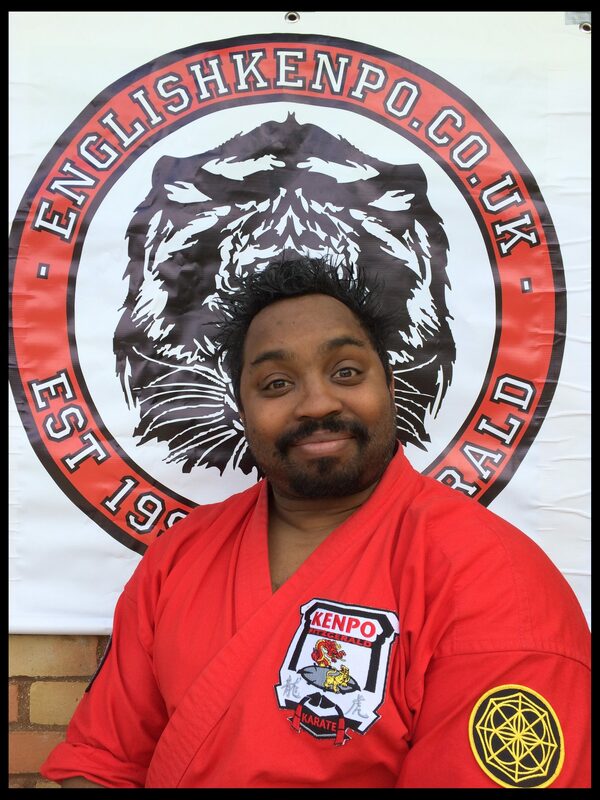 You will find my details at: www.watfordwarriors.co.uk Big Salute to all my Kenpo Brothers and Sisters. I first came in contact with Kenpo in 1986 at a seminar in Leeds that me and a friend had been invited to attend. I was blown away by the speed, power and fluidity of Kenpo and was instantly hooked. Going to one Kenpo class a week I was due to go for my yellow belt when I joined the Royal Air Force, that is when my kenpo journey ended for nine years. I dabbled in shotokan and goju ryu for a while but it wasn’t the same. Leaving the Royal Air Force February 1996 and moving back to Leeds I rejoined the Kenpo club. The club had changed quite a bit and was now called kempo ryu karate kick boxing and had removed a lot of the original self defence techniques and the forms. Having attained the rank of brown belt I moved to Northamptonshire and stopped doing kenpo. Having found peterborough American kenpo karate in 2011 I couldn’t wait to get back in to it, under the tuition of associate master Andy Fitzgerald 8th degree and professor Keith Birrell 6th degree I have found my obsession with kenpo once again i attained my 1st degree black belt in June 2012 and I am currently running a small class in Western Australia Click here to read a news item about Philip Mackinder. Mr. Neil Salmon started his martial arts career in 1984 at the age 10 under the guidance of Grandmaster Patrick S Kennedy (10th Degree Black Belt) in Raheny, he achieved the grade of first degree brown belt. 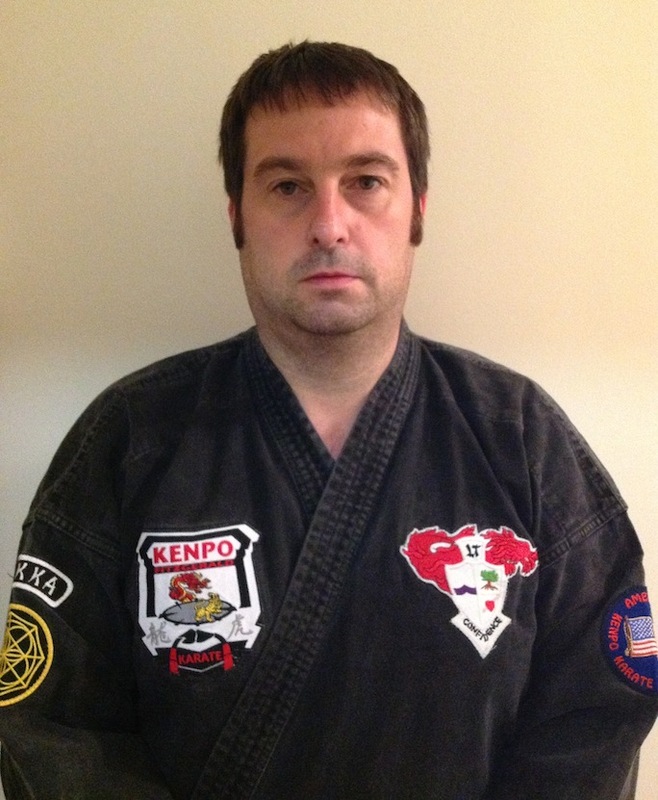 In 2008 Neil resumed his training with Mr. Jason O’Keeffe (7th degree black belt) in his Coolock club. 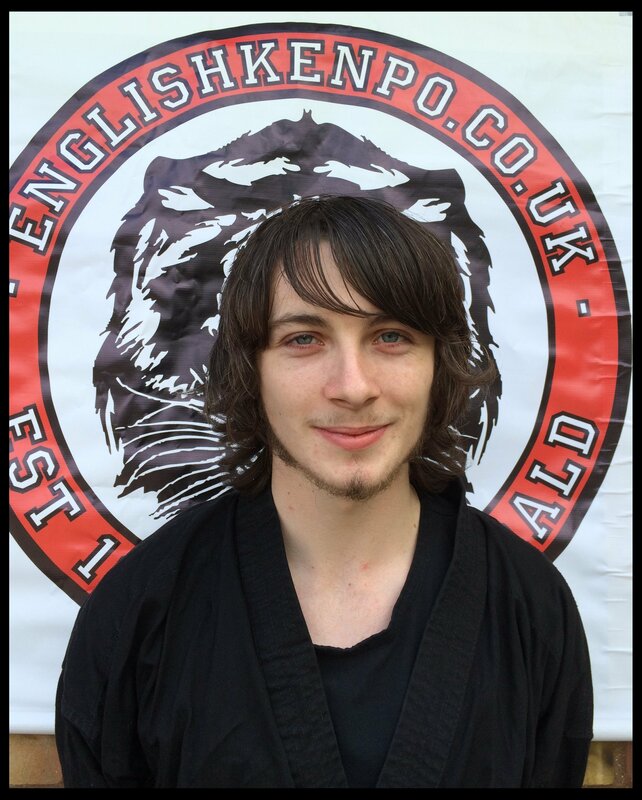 Under the guidance of Mr. O’ Keeffe he received his 1st degree black belt in June 2011. During his time training with Mr. O’Keeffe he attended many seminars over in England with Mr. Fitzgerald (9th Degree Black Belt), so it was with great enthusiasm he took the opportunity to join Mr. Fitzgerald’s association after seeing firsthand the knowledge and skill possessed by Mr. Fitzgerald. During his time training with Grandmaster Kennedy he won many competitions for sparring and forms. After his return to Kenpo in 2008 he took part in the 2010 Larry Tatum World Championship in Dublin where he won bronze in the brown belt individual sparring and silver in the brown belt team sparring. In 2010 he also completed his first Dublin city marathon. Since then he has attended numerous seminars with Mr. Ed Downey (8th Degree Black Belt), Mr. Bob White (9th Degree Black Belt), Mr. Lee Wedlake (9th Degree Black Belt) and Mr. John Sepulveda (9th Degree Black Belt). 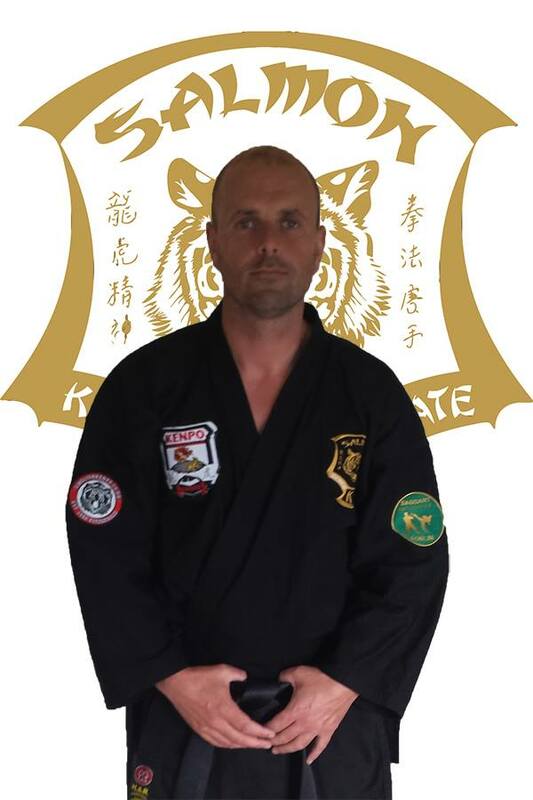 In August 2011 he opened his first club in Saggart, which has been growing at a great rate, and has seen many of his students partaking and winning at inter-club competitions and open tournaments. In May 2015 he opened a new club in Arklow, which is the first Kenpo club in Arklow, and has been greeted with great success by its new members. 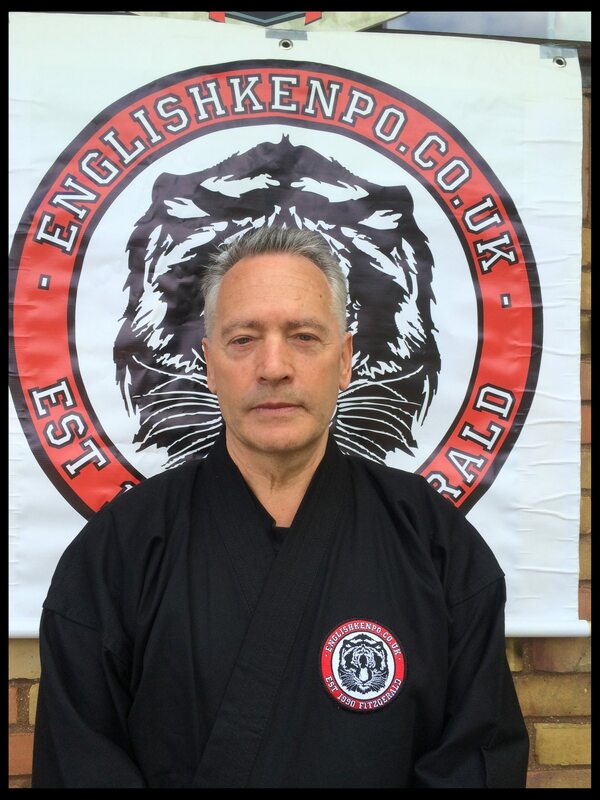 So it is with great pride, honour and respect Mr. Salmon is joining Mr. Fitzgerald’s association knowing whole heartedly that it will add to the success of his own personal Kenpo journey and that of his students in his two clubs. The future is very bright indeed with an excellent instructor to mentor him and the support and friendship of the other instructors of the association.